a master trainer who can implement the appropriate steps necessary to address and resolve these issues. not seek out the necessary and appropriate help. HELP IS HERE. I, Jeff Kolbjornsen, can teach you how to keep your dog. It is your responsibility and obligation to follow through to help your dog. He depends on you. At times, her life depends on it! The root of the problem may have originated from the initial selection of your dog. One important thing you should have initially considered is the type of breed you incorporated into your life and household. 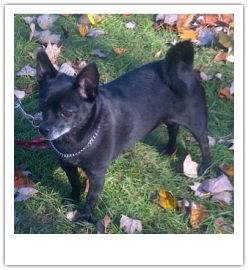 Many times owners choose a dog that is very different from their lifestyle, and who possess conflicting energy levels. Often times it creates a situation where some owners no longer want to tolerate the behaviors the dogs display over time. It becomes a battle of the wills, and if the owner is half hearted to begin with, in most circumstances, the “problem” conveniently becomes the “reason” to get rid of the dog. I have broken down the categories of dog types and their characteristics and what type of owner and household they require in my book Jeff's Book Guide to Owning Pure Breed Dogs. It is a great reference tool when beginning the search of a breed that you have in mind and will give you the insight and fore knowledge with what is necessary to miantain and live successfully with each specific breed. Enter your email below to benefit from Events, Product Releases, Special Offers and Discounts! Jeff is The Best, he helped me with my confidence with Wallis. I was starting over with a puppy after losing my dog that I had for fifteen years, so it had been a long time since my last puppy. Jeff was able to give me the right tools and reminded me to be patient with Wallis. After six sessions of training I was able to be in control of my puppy! 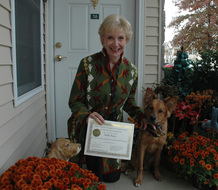 Teaching owners to understand the needs of their dogs and how to get the best results. Exciting guide for pet lovers! a Jeff Dog.You can have one too! it takes to be in control of your dog. If you are looking for your best friend or looking to place your pet, this is a way Jeff can help you find your match. Click the Adoption / Registration Button to view the available pets or if you are interested in registering a pet for placement. 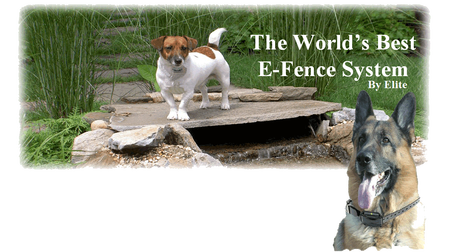 The World's Best E-Fence by Elite gives you and your pets the freedom and enjoyment you both desire and deserve. Our experts will help you design custom safety zones for your pets, protecting them from areas like pools, flower beds, and jungle gyms while keeping them safely in your yard. To learn more click on the web link . From Leashes, Collars, Bowls to Toys and More.